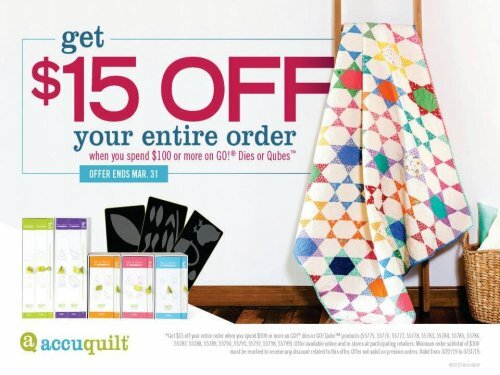 Get $15 off your entire order when you spend $100 or more on AccuQuilt GO! Qubes or Dies. Click to watch the videos. Then come in to BERNINA Sewing Etc. to purchase.